You may have heard the name Sigrid Schultz. 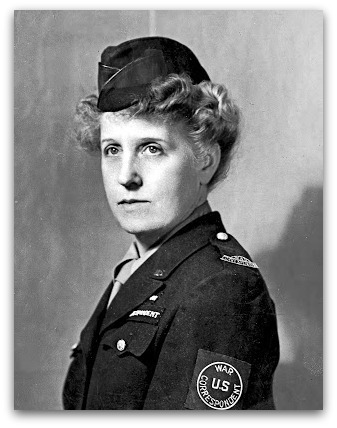 A pioneering female war correspondent, broadcaster and author who risked her life to expose Nazi secrets to the world, she hid her Jewish heritage from the likes of Hitler, Goering and Goebbels, whom she loathed but entertained in her Berlin home for the sole purpose of extracting information. After Schultz and her mother fled Germany, they bought a house and barn at 35 Elm Street. When Sigrid died in 1980, the town demolished her home to expand the Baldwin parking lot. This famous woman has remained largely unknown in her adopted hometown. But that may change soon, if a Downtown Plan Implementation Committee recommendation to name the new Elm Street parking lot — the one next to Bedford Square, created by the demolition of Villa del Sol directly opposite the Baldwin lot — is approved by the Board of Selectmen, acting as the town’s Traffic Authority. Then again, it may not be named the Sigrid Schultz Parking Lot. DPIC member Dewey Loselle suggested celebrating former Public Works head Steve Edwards. The longtime but low-key director nixed that idea. Another suggestion was to honor the residents of 22 1/2 Main Street — the African American boardinghouse that went up in flames (probably arson) nearly 70 years ago. The location was adjacent to the new parking lot. It might be tough coming up with an appropriate name — “22 1/2 Main Street lot” would be too confusing for the Elm Street address. But that hasn’t hasn’t stopped one Westporter from taking a second look. Chip Stephens grew up here. As a Planning & Zoning Commission member, he attends DPIC meetings. He wants to make sure the name of the new lot reflects town sentiment — not simply the will of one committee. Perhaps, he says, the lot should be named after the Wassell brothers. 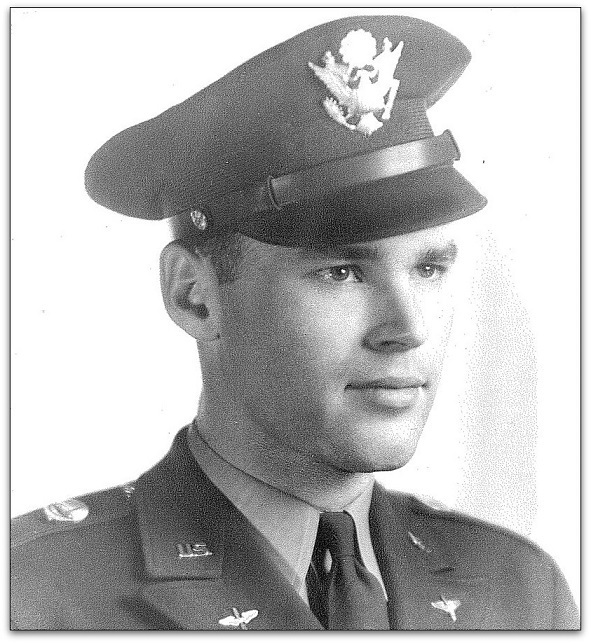 Harry, Bud and Pete were all killed within 15 months of each other, during World War II. Or, Stephens says, maybe there are other Westporters we should consider. So let’s have a townwide discussion, right here on “06880.” Click “Comments” to offer suggestions, and debate the ideas. FUN FACTS: So who is this Baldwin that the other Elm Street lot is named for? Herb Baldwin — a former first selectman. And on the other side of Main Street, Parker Harding Plaza is named for co-sponsors Emerson Parker and Evan Harding. Fortunately — considering the state of that parking lot — everyone has forgotten those two. This entry was posted in Downtown, History, Local politics, Organizations, People, Transportation and tagged Baldwin Parking Lot, Bedford Square, Chip Stephens, Elm Street Parking Lot, Parker Harding Plaza, Westport Downtown Plan Implementation Committee. Bookmark the permalink. The Wassel -Schultz Parking Lot would certainly be appropriate to honor these heroes. It would keep History alive and these people should be a part of any Historu curriculum in our schools. Of course her house should not have been torn down in the first place, but that’s “progress” ! My vote is Sigrid Schultz. She has been proposed not just by “one committee” with a long bureaucratic name but has been nominated and championed by two of our towns most respected preservationists – Morley Boyd and Wendy Crowther. They have done the painstaking research work to uncover Sigrid’s life story that has been largely lost to us. She is an unsung hero. Her courage and grace – as a Jew – reporting on the Nazi leadership needs to be known, remembered and honored. And this is a long overdue “thank you” from a grateful town that became her home after all that she did during those horrible years in Germany. Another ironic and sad “Where Westport meets the world” aspect to Sigrid Schultz’s story is that she was forced to hide her Jewish Identity from the top Nazi leadership in order to live and do her work in Berlin. Then she found herself once again hiding her Jewish Identity to live here in Westport. Not to save her life like in Berlin but in, in part, in order to be able to buy her home because of the existing Jewish housing covenants at the time restricting where Jewish Families could live in Westport. This is slightly off the topic a little bit, but somewhere in Westport should be some type of plaque, or something that recognizes and lists the names of the farmers who had farms in Westport. Long Lots Road, if I have my history correct, was named after the original seven farmers who cultivated on “long lots” stretching from Long Island sound inland. We shouldn’t let these families, who farmed in town, over centuries, be forgotten! I’m all in favor of naming places in Westport after those who made a difference and contribution to the town! I hope this wasn’t too off topic. How about the “Take up only one space” parking lot. I was recently in my hometown of Berkeley Height, New Jersey, and the town had an innovative program of flags on street lamps (like ours that currently read SHOP WESTPORT) which had a picture of local heroes and a small statement about their service. It was a great way to honor these men and women and teach children about local heroes. This way we would not have to settle on just one! Emerson Parker is not forgotten as he was my stepfather. Neither should Evan Harding be forgotten. They both did a lot more for this town than the parking lot on the river, which, by the way, was greatly appreciated at the time. It also made Main Street connect to a sewer system rather than dump sewage into the river. 1. The Town of Westport honored the Wassell brothers with the naming of Wassell Lane. 2. The Army honored the Wassell brothers with the dedication of the Nike site. 3. The proposal by the Westport Historical Society to acknowledge the past use of 22 1/2 Main is not a naming request for the parking lot on Elm; rather, it’s a request to place an interpretative plaque near the site where 22 1/2 Main once stood. As it happens, there was interest in placing said plaque at the rear of the new Elm Street lot. Nazi atrocities and major military secrets – including Hitler’s non – aggression pact with Stalin. 5. When she died at her home on Elm Street in 1980, she had been working on a history of anti-Semitism for the American Jewish Committee (AJC). 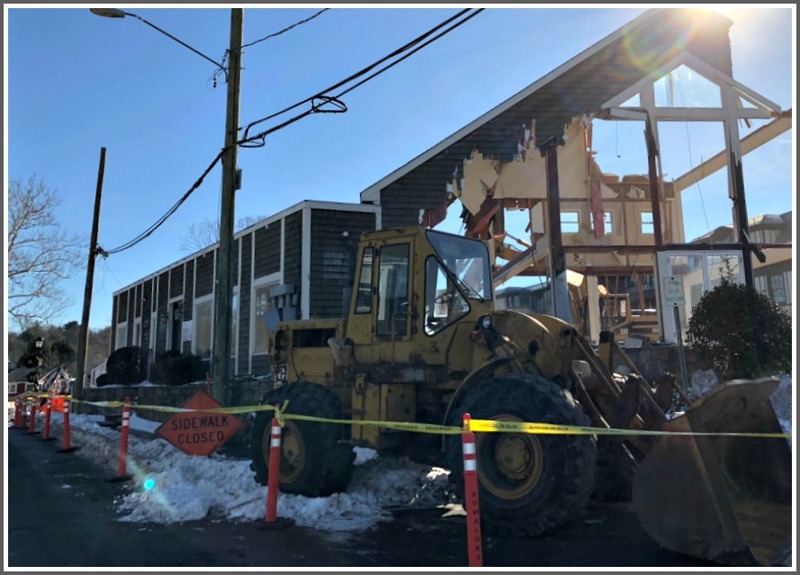 The Town of Westport was so concerned that preservationists might try to save the structure and thus scuttle its plans to expand the Baldwin lot that the Department of Public Works was ordered to demo the place as quickly as possible. And it did. Only the top of the chimney was saved. There is no record of the AJC project being conserved. Presumably it, together with much of Sigrid’s personalty, was thrown into a landfill. 6. While Sigrid’s will established a scholarship for journalism students that I believe remains a going concern, no evidence has been found that her remains were ever buried. Mr Woog, Apparently you have a personal vendetta against Parker Harding Plaza–having recently furnished you with the history of its importance to the growth of Westport, and its design aesthetic that opened, for the first time,the beautiful and always changing Saugatuck River for all to enjoy–you continue to disparage the 2 Westport men who gave their time and talent to develop and design Westport’s first destination parking lot. They were and remain to Westport patriots! If you are so unhappy with today’s condition of Parker Harding Plaza do something positive–speak to First Selectmen Marpe–he is very accessible, and very interested in the opinions of his constituents. And you’re wrong–Mr.Parker and Mr. Harding haven’t been forgotten–you’re still talking about them! I don’t mean to disparage Emerson Parker and Evan Harding. Both were great, involved and important Westporters. What I meant was that most Westporters do not know who the “Parker” and “Harding” are when they talk about Parker Harding Plaza. I apologize for not conveying that better. Unfortunately, however, Parker Harding Plaza is not exactly worthy of their good names. I don’t think there’s any Westporter who does not agree that it’s unsightly, poorly maintained, and prevents us from enjoying the river to its fullest extent. It is GREAT that the development of the parking lot did result in the end of merchants dumping raw sewage into the Saugatuck, for sure! As for Jim Marpe, he — and all town officials — are well aware that Parker Harding Plaza needs work. It’s been a major concern of the Downtown Plan Implementation Committee. While I’m sure it was a great improvement at the time, I could not think of a single bigger lost opportunity in Westport than using that space as a parking lot. When Bernie Sanders was mayor of Burlington, VT, he came into office facing a similar challenge with the waterfront of that town. In fact, Burlington was in much worse condition than Westport. But he formed a coalition of government and business people and they worked together to create the beautiful, beautiful town and waterfront that is now Burlington. If you want to see what Westport could be, just visit Burlington. I find that people in this Town appear to know the family names from the part of the Town’s history from the 1800s forward, and there are a lot of streets named after them. But little attention has been paid to honoring those who established the roots of the town (“West Parish”) and its pre-Revolutionary War families. Concerning the original five founding families in 1648 — the Bankside Farmers — what always surprises me is we discuss the male names in those families — like William Frost and Henry Gray. But what about the women — like Lydia Frost Gray, who clearly was a Founder, too, and was connected as a sister, daughter and mother two two of the founding families? Where do we use any of the names of any of the colonial women who came here and built this Town from scratch? Because of how women were treated as mere property in the 1600s, it’s as if those women did not exist. We should resurrect those female names from the first two hundred years of our history from the dustbin of silence. Now there’s a guy who’s done a lot of good for our town, everyday for years & years. Thanks, Eric. But in deference to you, there would be no signs! Excellent dialogue on an excellent topic. Based upon what I have learned so far, I favor Sigrid Schultz. I also would do a “shout out” to Morley Boyd and Wendy Crowther for past, ongoing and future contributions to help Westport and its residents become more cognizant of the history and people of our Town. One of the best aspects of Wendy and Morley is that they do their “homework”. Don said it. I agree. Morley and Wendy are wonderful contributors to preserving the town’s heritage. I realize more and more how important it is to know and preserve our history. If we forget those who stood strong, like Sigrid Schultz and many others, we are doomed to repeat our mistakes. Tavernkeepers played an important role in colonial history and it was an appointed position. The first appointed Tavernkeeper according to Town minutes from 1717, was Abigail Sturges Couch (later Andrews). Do we adequately tell the story of the 51% of the Town who were women and make up 51% of the blood, sweat and tears that went into building this Town? Half the story is missing when you leave out women! Our roads, parks and parking lots need to start reflecting the other 51% of our Town history. Little girls growing up in this Town need the visual reminders that boys have that they can make a difference, and that their contributions won’t be buried simply because of their gender. Let’s stop the conspiracy of silence about how women have contributed mightily to this Town since 1648. Find their names, and honor them. Thank You, Thank you for these links. My family has roots in Fairfield County that go back to the early 1600’s You may just have given me another tie in that I did not know existed. My grandfather’s sister married a Silliman. I’ll have to trace this back to see if it is a direct line. Regardless of any tie in it is exciting to read about the History of our country and the part women played in it. There’s a street in Fairfield named Sullivan Street. I owned a small condo there around 1980-83. BTW: I made a tiny error above. William Frost was the father of Daniel Frost and Lydia Frost Gray. But William lived in today’s Southport, and it was his children — Lydia Frost Gray and Daniel Frost — who were part of the five Bankside Farmer families that founded West Parish, which evolved into Westport. Lydia’s children then moved further west and were the first deed holders to own the land at what is now the Longshore Club. they are buried in that little graveyard at the Longshore, and Gray’s Creek is named after them. Plaques or statues seem a more fitting way to honor the lives of remarkable people like Sigrid Schultz than using their names for slabs of asphalt that people drive and park cars on. To your (solid) point Dave, there is a large granite post which has been placed upon the site where Sigrid’s house once stood on Elm Street. An appropriate interpretative plaque regarding Sigrid will be affixed to same. Look if you all want to get testy about all this, I have a solution! Rename the town Woogport, and have Dan make all the decisions! To: Seth Kent, Please know there was no land there–main street backed right up to the Saugatuck River. Refer to Wood Klein’s book, “The Story of a New England Town’s Rise to Prominence” page 243. Parker Harding Plaza’s design included a landfill that expanded the town to create a much needed parking space. You will enjoy Mr. Klein’s book– its full of Westport history! Interesting- thanks for the recommendation. In my perfect world, that space would now be converted into a pedestrian-only outdoor mixed park-retail-restaurant area. While at the same time also putting in a flooding mitigation system!